Dancehall artiste, Shatta Wale, born Charles Nii Armah Mensah Jnr, has admonished Charterhouse not to take things ‘too personal’ following their ongoing court case. 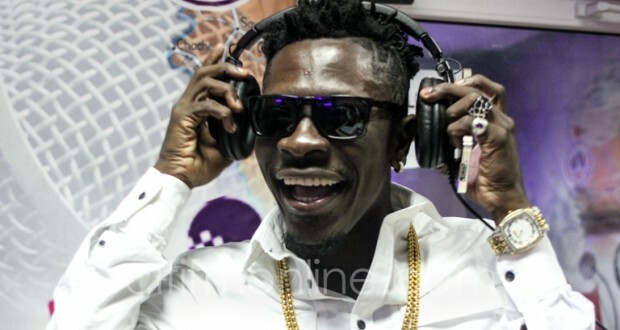 In an interview on the Citi FM’s Traffic Avenue with Jessica Opare Saforo, the Shatta Movement kingpin explained that his decision to release a series of videos on Charterhouse was not borne out of any malice but a need to get them to do the right things to promote the growth of the showbiz industry in Ghana. Charterhouse and its Chief Executive Officer (CEO), Iyiola Ayoade, dragged Shatta Wale to court on October 2, 2014 for defamation and are seeking GHC 10 million in damages among other things. Shatta Wale leads an exciting lineup of hit-makers billed to perform at the 2014 edition of the Decemba 2 Rememba concert. He performs alongside Stonebwoy, Guru, M.anifest, MzVee, Keche and Kontihene, with rib-cracking comedy from DKB and the sensational Kalybos and Ahuofɛ Patri. The Citi FM Decemba 2 Rememba concert comes off on Wednesday December 24 at the Accra International Conference Center. Tickets are available at Citi FM and the Airtel Shops at the Accra, Madina, Tema, Osu and the Marina Malls. The 2014 edition of the nation’s official Christmas party, Decemba 2 Rememba, is sponsored by Airtel, Dynamite energy drink and Kupenda Condoms with security from Westec Security.